To see all newly approved IGFA World Records since February 21, 2019 please view this PDF. 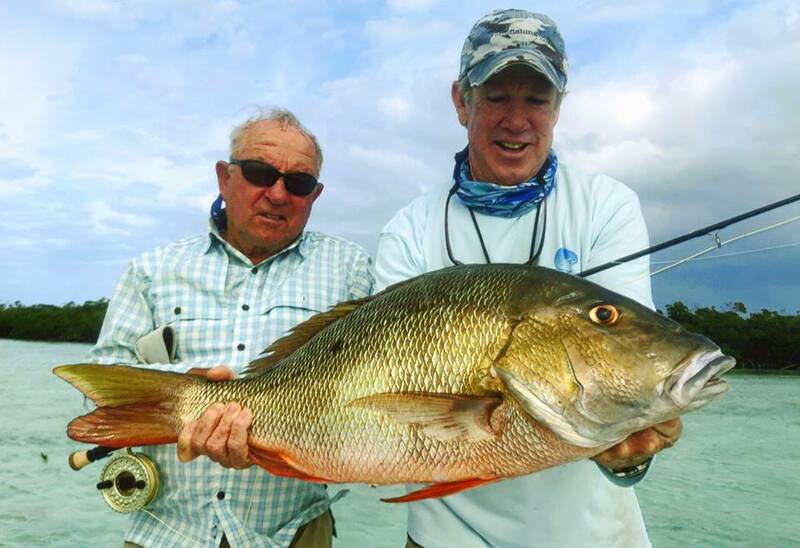 Angler Yvon Chouinard caught this beautiful 6.35-kilogram (14-pound) mutton snapper on December 12, 2018, while fly fishing the flats of Walker's Cay, Bahamas. The catch is now the new men's 10-kilogram (20-pound) tippet class record. New Zealand angler Olive Armistead smashed the standing women’s 4-kilogram (8-pound) record for rainbow trout by over three kilograms while fishing the Tekapo Canal in New Zealand. Olive used a Glo Bug to seduce the 6.5-kilogram (14-pound) trout and needed 10 minutes to land the fish. Her catch also earned her the new female Smallfry Junior record. This is her fourth record for rainbow trout. Ricci Chavez nudged out the previous All-Tackle record for leather bass while fishing out of the Los Buzos Resort in Panama. 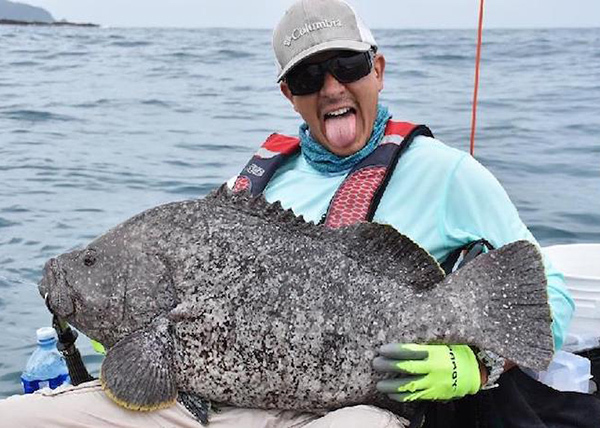 Chavez was fishing out of a kayak when this 12.7-kilogram (28-pound 2-ounce) leather bass struck the jig he was casting. Ricci only needed one and half minutes to bring the fish to hand, which was heavy enough to beat the standing record by 10 ounces. 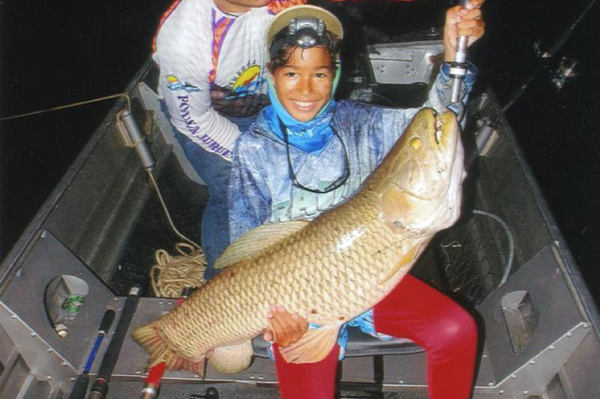 Ten-year-old Gaël Commergnat had a rumble in the jungle when he caught this 13.8-kilogram (30-pound 8-ounce) giant trahira that earned him the new male Smallfry Junior record. Gaël caught the toothy trahira while fishing cut bait on the bottom the Rio Juruena in Brazil. His fish was just shy of beating the current All-Tackle record of 14.9-kilgograms (32-pounds 8-ounces). 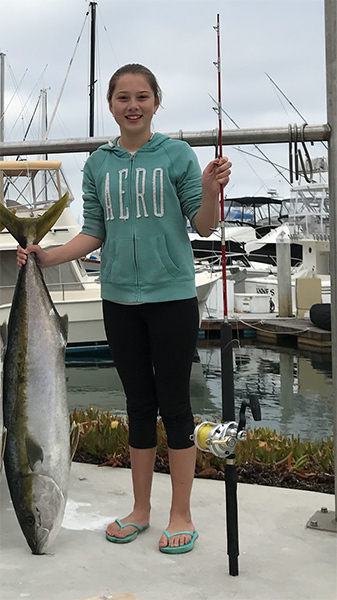 The female Junior California yellowtail record now belongs to Kajsa Ofield for her 14.9-kilogram (33-pound) fish that she caught off of Imperial Beach, California. Kajsa was trolling a lure on 24-kg (50-lb) line and fought the hefty yellowtail for 15 minutes before boating the fish. 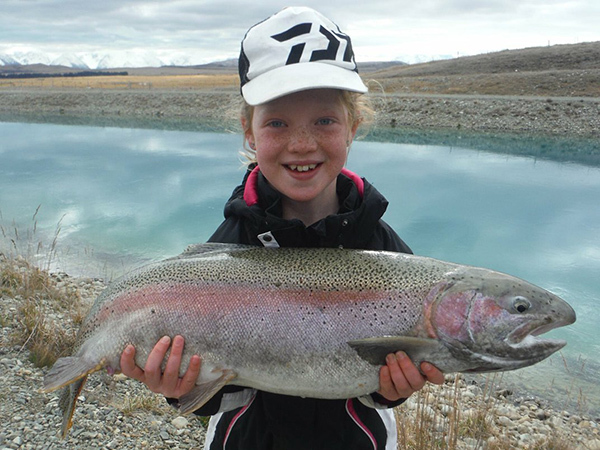 This is Kajsa’s first IGFA World Record!